STEM-certified toys provide stimulating and hands-on learning that is key to the proper cognitive development of our toddlers. 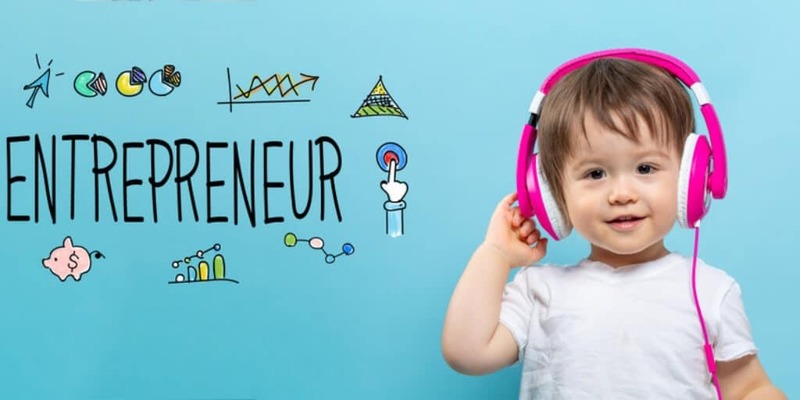 There are three crucial skills that will make the largest impact in your baby’s future; Enhanced divergent thinking, emotional intelligence(EQ), and innovative skills. You’ll know exactly what these skills are, how it challenges and develops a toddler, and how STEM-certified toys develop these skills. Includes supporting research. Toddlers spend most of their day playing with toys, doing art activities, sleeping, and being oh so adorable. The toys that consume their time are hopefully developing them intellectually and emotionally. Toys are either pushing them to develop and learn skills or are hindering their ability to develop proper skills if it’s not stimulating enough. Little access to proper stimulation can actually make it harder for a child to enjoy activities and develop emotionally and intellectually, espeically if this happens often. This will spill into adulthood if not corrected. 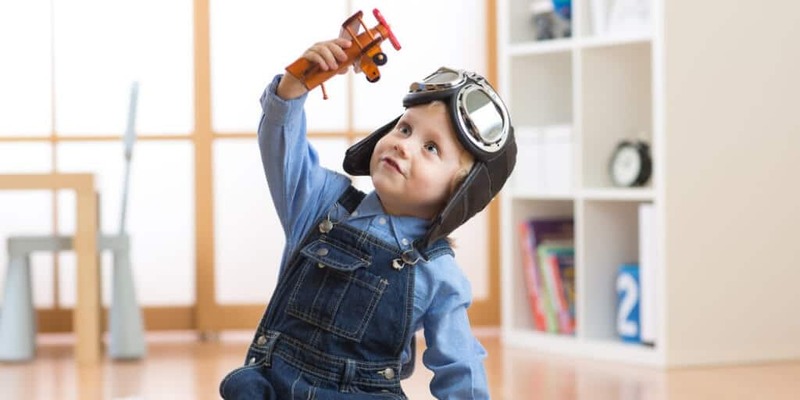 Research suggests that toddlers prefer playing with toys that help them learn. Which means a happy, less cranky toddler (unless they have skipped naptime). That’s why I make sure STEM toys are in my daughter’s toy rotation during play time. Children are curious, happy, and love to play. What if we could combine all of their wants in a toy and add what they need without them realizing they’re actually learning?! What’s the big deal about STEM toys for toddlers? You probably already know the basics of STEM. That blog covers the nitty-gritty details in a not-so-boring way. 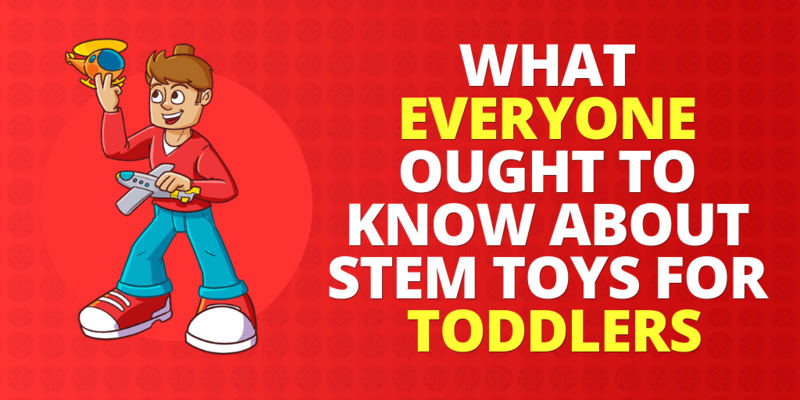 Here I’m going to tell you 3 things you must know about STEM toys for toddlers. Creates Innovators – STEM toys encourage building, critical thinking, and advanced mental processes. Divergent thinking or lateral thinking is a process of creating multiple, unique ideas or solutions related to a problem that you’re trying to solve. It’s a spontaneous and free-flowing process, unlike convergent thinking which is more systematic and has one best solution. Did you know that as children, our divergence capability is naturally high and decreases dramatically as we get older?! That’s because we’re taught in school using a one system approach, with one solution to every problem. This brings me to my next point, by providing STEM toys at home for your toddler, this will help prevent a loss of divergent thinking and even stimulate this style of thinking properly so that they’re more successful throughout their childhood and into adulthood. Some of the best breakthroughs have occurred throughout history because of divergent thinking. Especially in the health and technology field. Creativity allows the brain to relax while solving a problem. Less pressure and less frustration is always a plus if you ask me. Have you ever felt overwhelmed because you can’t figure out a solution to a problem? Or you’re thinking so deeply and concentrating so hard that your head hurts? Then, randomly, you’ll figure it out when you’re not even focused on it? Random associations are where you thinking of one thing and end the thought with something that sounds way to random to be even associated, but it is since you jumped to it by words of association. This is creativity in action. Creativity is extremely important to develop. It helps us solve complex problems. By providing STEM toys for our toddlers, they’re accessing the creative parts of their brain which helps them tap into something new and exciting, keeping their curious minds stimulated. It’s also rewarding to solve a problem using a solution that they thought of all by themselves. Lastly, this breeds curiosity, strengthening the brain. Our brain is a muscle and needs constant attention, otherwise, it starts to regress over time. Our toddlers are very curious, cute little creatures who want to not only stick everything in their mouths, but they want to know how stuff works and how to solve problems! What’s better than to give them STEM toys! My favorite STEM-certified toy is the Lock & Learn (these are the only ones that “lock” in place aka I won’t step on them!). Emotional intelligence isn’t about having emotions, it’s about understanding them in ourselves and in others. In our toddler’s world, emotional intelligence means they can verbally communicate that they’re SO mad their little brother or sister took their toy instead of biting or hitting them out of anger. Another example is your toddler recognizes a new child who is shy or scared in a new environment and they try to help them by giving a hug, a toy, or being extra gentle and caring so they become more comfortable. I don’t know about you but, our world could use more people who can understand emotions, communicate effectively, and solve problems. STEM-certified toys are one giant step towards the development of emotional intelligence. Life never stops presenting problems and our environment is always changing. Change is hard for most and so is coming up with proper solutions to a problem. In order to thrive, our children need to be capable scientific thinkers and problem solvers. Fun fact, in order to thrive in the real world, complex problem-solving skills are a # 1 skill that is required for success as adults. After that, it’s critical thinking and creativity. Developing problem-solving skills helps with independence and aids in the academic world. As our toddlers grow, they are left to learn on their own, study on their own, and manage their lives with more responsibilities as they grow. Children face many problems all day long, they may seem unimportant to us, but to a toddler and a growing child, their dilemma is a huge deal because they are still learning about the real world. Lack of problem-solving skills contributes to struggling in school, difficulty in social situations, and bad impulsive behaviors. This ability is very important to start developing and the earlier this starts, the better off your baby is! So, how do toddlers learn problem-solving? Babies and toddlers have an infinite capacity for wonder. They thrive off of experimenting. Has your child ever thrown their cup from the high chair? Jumped in a muddy puddle or tried to eat whatever is in arms reach? They’re wondering what happens if they perform that task. This actually helps them develop understanding at a conceptual level. By giving them space to experiment on how to complete a brickMate puzzle, they are learning this skill. If they get frustrated, you can team up and guide them through by asking open-ended questions or let them take the lead if they seem able to handle the challenge. It’s hard for children to share, everything is their toy and they don’t understand this yet. Let’s face it, this goes into adulthood too, but we are mature enough to know when to share and why we should share. Sharing promotes teamwork. We all know teamwork makes dreams work. No seriously, working in teams allows complex problems to be solved as we talk through complications. Your toddler is going to learn that working with a friend is way more fun too. Plus, they develop communication skills and that helps a great deal as they’re learning how to communicate feelings, wants, and needs at this point. I’ve seen fewer tantrums occur with my daughter too because she can articulate proper sentences at an early age and communicates feelings through words rather than showing frustration and anger. Frustration and anger are very common because they’re unsure of how they feel and how to say it. So, by talking them through it, it really helps diffuse the situation. Playing with STEM toys specifically for toddlers and onward will cultivate this as well. Another great feeling is they learn how good it feels to share as positive reinforcement occurs when they explore together. Empathy is what keeps our world moving in the right direction. A research article has found that those who are empathetic are more likely to stand up for others and not be a victim of bullying. This can prevent the damaging effects of social isolation and exclusion that can often lead to anxiety and depression. 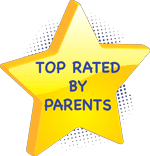 By giving your toddler STEM-certified toys, they have the opportunity to act out different situations with others which allow your toddler to learn how it feels to be treated and to replicate good behavior onto others. Introducing STEM-certified toys at this age can help our toddlers learn to take care of their possessions, respect their toys, respect their playmates, and to be kind in the process. They explore their emotions and how to treat people and animals. Let’s say they’re playing with the Lock and Learn and are snapping the happy pig into his mudbath or recognize how nice the cats are sitting with each other at the top of the barn. They mimic behavior around them and learn how to empathize through practice. Maybe later, they want to customize their animal’s shelter and where they go, all they have to do is remove the backing and they can have a free build play time. This is the ultimate opportunity to teach your toddler all about being kind and caring while learning many other skills. In order to be a successful innovator, you need 3 things: a STEM background, entrepreneurship, and creativity. Luckily for us, STEM-certified toys provide all three of those through STEM development. STEM toys for toddlers is a great first step in inspiring kids towards a science, tech, engineering, or math career. These fields are filled with developers and innovators that directly impact the world for the better. We are living longer, healthier, exploring space and the deep oceans farther than ever imagined in such a short period of time. This is credited to those who are well-balanced intellectually and emotionally. They’ve learned and developed key STEM skills as children and carried it to adulthood. As your toddler is playing with block puzzles, they develop capabilities to think freely when using the baseboard and the pictured blocks. They develop perception, intuition, and reasoning through this creative process. Even if your toddler is using the stencil through guided play, this helps develop various skills like enhanced memory and an ability to set achievable goals. When they’re playing with the number blocks from the Lock and Learn puzzle, they grasp the idea of order through counting 1 to 10. They learn to recognize different shapes and sizes and spatial awareness. If you provide the right “tools” or STEM-certified toys, you will be preparing your child to be a team player, a problem solver, and an intelligent leader. Less exposure to modern technology at this age is key to proper development too. Children are more actively engaged with hands-on toys and learn key values as mentioned above. More exposure to interactive toys like brick puzzles, stacking blocks, and activity-based toys will help with physical and mental development. Shaping their future to be successful starts now.